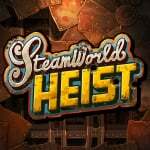 SteamWorld Heist is certainly one of the highest-profile download-only releases heading to the Wii U and 3DS this year, and ahead of a Fall release window Image & Form is keeping fans informed with weekly updates and contests. Last week the studio launched its first SteamWorld Ambassador competition to name a new weapon, with the winner receiving free copies of the various versions once they're complete. The competitions will be bi-weekly, so this time around Image & Form CEO Brjann Sigurgeirsson and Community Manager Julius Guldbog have answered fan questions in a video. They tackle queries on platform exclusive content, multiplayer, amiibo and more. In the meantime the winner of the first SteamWorld Ambassador has been announced over on the official Image & Form blog. There'll be another comp next week for those that missed out. In the meantime, let us know what you think of the developer's Q & A in the comments. I am looking forward to this I bought SteamWorld Dig day 1 without reading any reviews and it has become one of my all-time favorite games. These guys rock! I am definitely looking forward to playing this game the more I see and read the more I want it . This approach the devs are taking can only increase awareness and get more sales. This is definitely not the type of game a lot of people will even want to try but because of what the dev is doing it might make many more impulse buy. Really looking forward to this! So no multiplayer or very, very far away. Near other galaxy? This game looks fantastic. Very excited to check it out. I like it's different, as much as I liked the other game. I'm ready for this one for sure.